Find hotel near Museum Of The National Ba .. The museum of the bank was established in 1982. Since then it has evolved to explore 4 key concepts: historical methods of payment, the role of the National Bank, the role of currency, and money as a cultural force. To this end the museum uses artefacts, historical machines, various numismatics, books, documents, and medals. The visit tends to be short but quite engaging. The museum is closed for renovation until January 2018. Re-open on 1st January 2018. 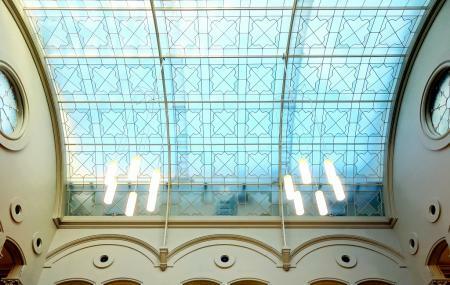 How popular is Museum Of The National Bank Of Belgium? People normally also visit Grand Place while planning their trip to Museum Of The National Bank Of Belgium.